Damon Harding is part of a multi-disciplinary team of strategy, execution and growth experts. Damon is a highly accomplished business transformation leader within the Strategy, Leadership & Innovation team. He has a proven track record of delivering large-scale integration and transformation programmes; helping clients focus on their long-term, customer-orientated goals; providing rapid improvements in customer experience, efficiency and operational performance while minimising costs. Damon’s extensive expertise spans end-to-end operations within telecommunications, retail and technology sectors. 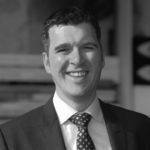 A passionate and focused leader, Damon can define your vision and create values and behaviours which allow your business to grow. He can launch, scale and rationalise – transforming complex businesses, both established and start-up, in highly competitive and fast-moving industries. If you need the voice of the customer in the room… then Damon is your man; knowledgeable, detailed and driven; a great asset to the team. Damon leads from the front in everything that he does. He knows the business inside out – a commercial leader, but also with the customer’s interests at the core of everything. Motivated, dynamic and focused, Damon always demands the best. His honesty and strength of character continually drove initiatives….to do the “right” thing for the long-term, rather than settling for the quick fix.